Ricky Lee Blackwell of South Carolina, Shawn McCoy of North Carolina, and Michael Barbar of California all have one thing in common; they are non-Muslim Americans who have recently been charged or whose court trials are now underway for the crime of murder. Ricky Lee Blackwell, for instance, appeared in court a couple of days ago and is charged with killing an 8-year old girl who he put into a headlock and then shot a total of four times. Her crime? She happened to be the daughter of Blackwell’s estranged wife’s boyfriend. The allegation is that he killed her in order to get back at his wife for leaving him. Shawn McCoy was arrested just last Saturday after he purportedly used a 9mm gun to shoot his ex-girlfriend and her new boyfriend multiple times; the new couple were found dead in a pool of blood. On a positive note, the ex-girlfriend’s 8-year old daughter was not at home at the time, or else we might have been relating a triple-murder report instead of a double homicide. Michael Barbar, likewise, was charged and finally convicted last month of strangling his unfaithful wife with a computer cord; he then went on to beat his 6-year old daughter (who he had just discovered was not his biological daughter) to death. Honor killings are acts of vengeance, usually death, committed by male family members against female family members, who are held to have brought dishonor upon the family. A woman can be targeted by (individuals within) her family for a variety of reasons, including: refusing to enter into an arranged marriage, being the victim of a sexual assault, seeking a divorce—even from an abusive husband—or (allegedly) committing adultery. Whether such a definition is culturally-biased or not in the first instance (most men and women in the West, for example, are in common-law relationships and hence not operating within the technical and legal framework of “marriage”), it would still seem that the innumerable number of estranged wives who are killed by their husbands in the U.S. every year should fall within the purview of the above definition, including the three recent cases that have been discussed in this article. The only way that the above mentioned cases can escape the label of “honour killing” is if we make the rather unreasonable assumption that all these murders were carried out devoid of any emotional dynamics like anger, shame, jealousy, etc. Such an assumption would of course be laden with unproven and highly convenient and self-serving cultural assumptions that when non-Muslim men commit “acts of passion”, there is in fact no emotions or passion involved. Let us consider one final recent example of an “honour killing” (again, not called an “honour killing” by any media source that I was able to locate): the truly horrific and heart-breaking case of four family members (and two additional family friends) who were murdered in cold blood by the deranged killer who was supposed to be their protector. Damian Rzeszowski recently began his court trial for the murder of his wife, who had cheated on him some time before. Rzeszowski was broken and fearful of his marriage and family breaking apart, and so he resorted to the “honour killing” of his wife. But this was an honour killing with a difference, an “honour killing 2.0”. 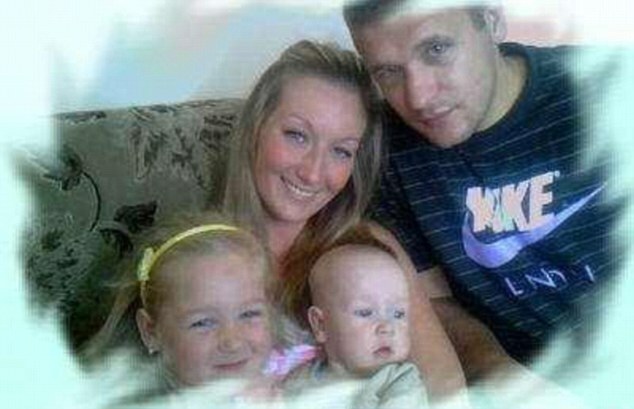 Not being satisfied with stabbing his wife to death, Rzeszowski then continued to attack and kill anyone who shared his wife’s DNA, beginning with his own children, aged two and five, who had been sitting and painting in the living room. He also killed his father-in-law, as well as a family friend and her five-year old daughter. The point of this article is not to point fingers at white people, Afro-Americans, Lebanese Christians, agnostics, or Catholics. The point is that evil occurs in all societies and in the midst of all people. Honour killings in America are a major problem that Americans are not ready to confront and deal with, unless of course the perpetrators happen to be brown or Muslim. Moreover, even the most blatant examples of hyper-honour killings are not labelled as such; it appears the term is used exclusively for Muslim immigrants. Is it really “honor killing”?